This medium-bodied aromatic Chardonnay is balanced and fresh with lively acidity. Bursting with hints of pineapple, melon and peach on the palate, this lightly oaked dry white wine has delicate hints of pear on the finish. his light-bodied refreshing white wine opens with citrus, floral and pear notes. An excellent harmony of fruit and acid create a crisp finish that reveals hints of citrus and green apple. This medium-bodied wine boasts aromas of apple, lemon, and kiwi on the nose and provides hints of lemon and herbaceous flavours on the palate. Grapefruit and passion fruit notes offer a zesty finish. A full bodied, fruit forward blend that highlights all the best characteristics of the varieties it contains. The Cabernet Sauvignon brings cassis flavours and firm tannins, the Merlot softens with hints of plum and violets and the Cabernet Franc adds dark cherry notes. Toast and vanilla flavours from the American oak will create a balanced classic wine. An elegant wine bursting with flavours of ripe black cherries, red berry fruits, and delicate spice notes on the palate superbly balanced with oak. Food Pairings: Try it with grilled salmon, sweet onions and red bell peppers or wild mushroom bruschetta. Ten years ago, Rosso Grande was launched with great show and quickly became the most talked about and popular wine kit of its time. A delectable bouquet of sweet ripe berries, spices, and farm cherries, and firmly structured tannins. This assertive wine is bold in all aspects. Two of France’s dominant grapes are gracefully blended together to create a bold wine with a nose brimming with spicy black pepper notes, dried dark fruit, earth and a hint of tobacco. 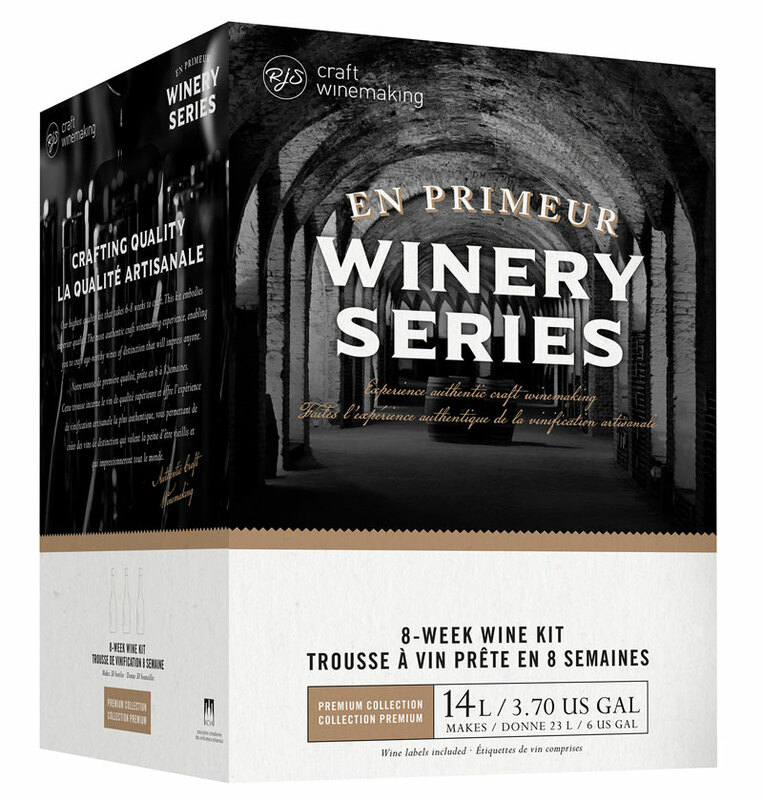 Fermented on GenuWine Winery Grape Skins and French oak, this wine is sure to impress with its elegant finish. The Winemaker’s Trio is the perfect blend of Cabernet Sauvignon, Syrah and Zinfandel fermented on GenuWine Winery Crushed Grape Skins. This new world style red has a nicely integrated balance of tannins and acidity. It features an inviting blend of vanilla, red berries, and black cherry on the nose and it combines the sweet flavors of ripe raspberry, chocolate, and cherry on the palate.